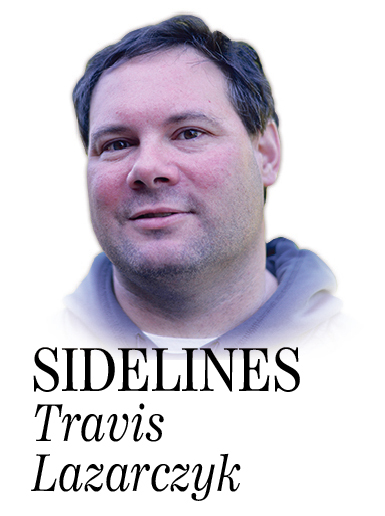 Mourning a teammate, the UMaine football team held its first practice Wednesday, Travis Lazarczyk writes. ORONO — Shortly after 2 p.m. Wednesday, the University of Maine football team was on the Harold Alfond Sports Stadium turf for the first practice of the season. Offensive players wore white jerseys, defensive players wore blue, and quarterbacks wore red. Music played on the stadium PA system as the Black Bears worked out. Coaches implored older players to help their younger teammates understand drills. It was all very normal, and normal was exactly what the Black Bears needed. Darius Minor, an 18-year old freshman defensive back from Locust Grove, Virginia, collapsed and died last Tuesday during a workout for incoming freshmen. The Black Bears are grieving, but getting back to work provided something on which to focus. 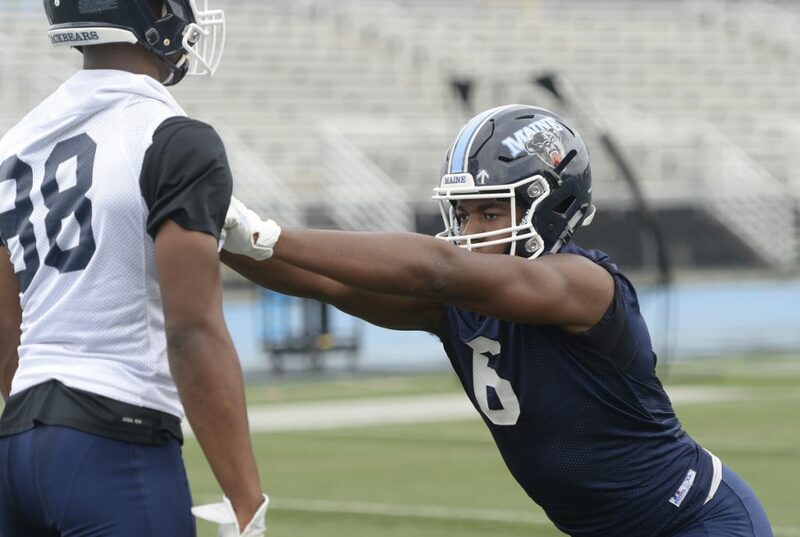 Football is a healing tool the Black Bears want and need. “It was important. This past week has been pretty hard on us. To be able to come out here and do what we love, being able to keep Darius on our minds, at the same time and being able to keep our minds busy. He’s been heavy on our minds the whole week,” junior corner back Manny Patterson said. Head coach Joe Harasymiak and assistant coach Matt Birkett, Minor’s defensive backs coach, were absent from practice. They were in Virginia, attending funeral services for Minor. Earlier Wednesday, the team held a memorial service for Minor. Patterson would liked to have been in Virginia, too, but he understood the place for him was with his teammates. There’s no blueprint for what to do when tragedy strikes a team. As an upperclassman and a team leader, Patterson knows he has to just provide support. There seemed to be an extra bounce in the Black Bears’ step. Nobody was in pads yet, but there was a spark to Wednesday’s practice. Minor was motivating the Black Bears, and will all season. Patterson already had become a mentor to Minor. They played the same position. Patterson had begun showing his young teammate the ins and outs of playing corner in college. Patterson is from Baltimore, Maryland. He knew how far Orono was from home for Minor, and could relate. “I was coaching him up. We were here over the summer. I was really the only person at the corner position he could look up to. He was a real good kid, a real good kid,” Patterson said. The Black Bears open the season in 28 days, when they host rival New Hampshire. It will be a Thursday night. This stadium, now empty save the team working out on the turf, will be full, or close to it. The Black Bears will still be mourning Minor. That doesn’t shut off, not for a long time. They will mourn, but they will play football, and that will help.